[S82] UK National Census for 1851 Index, Liverpool "HO107/2186 f104a." [S40] UK National Census for 1851 for UK, "HO107/2186 f104a p5 15." [S1051] Website Lancashire BMD (http://lancashirebmd.org.uk/) "Liverpool : 2123LP/11/250." [S47] UK National Census for 1861 for UK, "RG9/2697 f118a p54 249." [S933] E-mails from Ian Jones to Alan Bennett, May 2007- "Extracted from Williams birth certificate." [S934] Copy birth certificate of William Kendal Rowlands, 8 March 1875 "unknown cd." Spouse Father's Name: Robert Rowlands." [S2314] Website Toxteth Park Burials (http://www.toxtethparkcemetery.co.uk/dbase/toxsearch.htm) "ROWLANDS Robert 64 years Shipwright Whitingham Crescent 23 November 1890 3436 68701 C E Right 78 352 CEM 9/1/14." [S1] Website IGI (www.familysearch.org) "P020945." [S2314] Website Toxteth Park Burials (http://www.toxtethparkcemetery.co.uk/dbase/toxsearch.htm) "ROWLANDS Sarah 66 years Widow 54 Upper Harrington Street Toxteth park 13 March 1899 4178 83273 C E Right 78 352 CEM 9/1/17." [S45] Website FreeBMD (http://freebmd.rootsweb.com/) "Deaths Mar 1899 Rowlands Sarah 64 Toxteth Park 8b 195." [S72] UK National Census for 1891 for UK, "RG12/2925 f86b 251." [S1051] Website Lancashire BMD (http://lancashirebmd.org.uk/) "2108TP/9/278." [S70] General Record Office Indexes "Births March 1875 ROWLANDS William Kendal West Derby 8b 295." [S49] UK National Census for 1881 Index, UK "RG11 Piece 3705 Folio 81 Page 31." [S271] Shiela Anscomb, "Email from Shiela Anscomb (28/6/2003) #2," e-mail to Alan Bennett, 28 June 1903. [S49] UK National Census for 1881 Index, UK "RG11/2182 f127 p5." [S1] Website IGI (www.familysearch.org) "M052421." [S72] UK National Census for 1891 for UK, "RG12/1716 f24 p19 111 wife listed as widowed." [S45] Website FreeBMD (http://freebmd.rootsweb.com/) "Births Jun 1859 Hooppell Harriett Hannah Kingsbridge 5b 19. [S49] UK National Census for 1881 Index, UK "RG11/2182 f109 p10." [S72] UK National Census for 1891 for UK, "RG12/1717 f44 p5 40." [S45] Website FreeBMD (http://freebmd.rootsweb.com/) "Marriages Dec 1875 HOOPPELL Sarah Grace Kingsbridge 5b 403." [S45] Website FreeBMD (http://freebmd.rootsweb.com/) "Marriages Dec 1875 Stumbles William Henry S Kingsbridge 5b 403." [S72] UK National Census for 1891 for UK, "RG12/1711 f112 p15 79." [S49] UK National Census for 1881 Index, UK "RG11/2176 f128 p21." [S45] Website FreeBMD (http://freebmd.rootsweb.com/) "Marriages Sep 1876 HOOPPELL Robert Benjamin Totnes 5b 357." [S45] Website FreeBMD (http://freebmd.rootsweb.com/) "Marriages Sep 1876 BEARD Elizabeth Mary Totnes 5b 357." [S45] Website FreeBMD (http://freebmd.rootsweb.com/) "Marriages Dec 1871 HOOPPELL Emma Catharine Kingsbridge 5b 403." [S45] Website FreeBMD (http://freebmd.rootsweb.com/) "Marriages Dec 1871 Prowse Robert Lavere Kingsbridge 5b 403. [S45] Website FreeBMD (http://freebmd.rootsweb.com/) "Births Mar 1842 HOOPPELL Susan Ann Kingsbridge 9 387. [S49] UK National Census for 1881 Index, UK "RG11/0197 f117 p44." 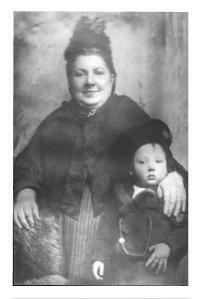 [S45] Website FreeBMD (http://freebmd.rootsweb.com/) "Births Dec 1837 Hooppell Mary Jane Kingsbridge 9 287.